Legacy Audio’s new CLASSIC HD is designed from the ground up to deliver amazing sound. 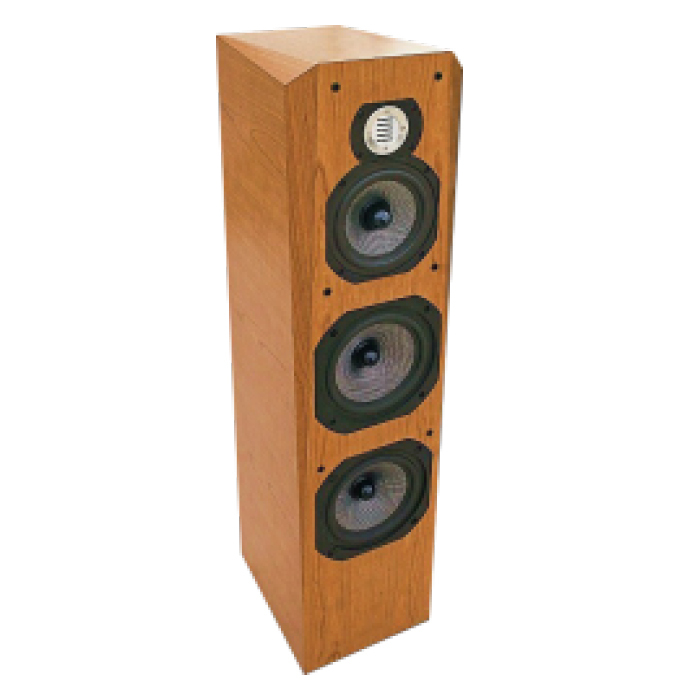 Great as a front pair in home theater applications; exacting enough for the most critical audiophile. Highs are sweet and clear, vocals are natural and effortless-free of the thin, compressed nasality so common today. Midbass has punch, and bass is solid and well defined. The Legacy folded ribbon tweeter is suspended between front and rear magnets, delivering four times the volume velocity of a flat diaphragm. This provides high efficiency, wide bandwidth and terrific power handling. The midrange is their own cast frame design, providing a larger radiating surface for reduced distortion and much higher output capability. The diaphragm is their silver/graphite weave. Tucked under the precisely shaped phase plug is a secondary neodymium magnet which concentrates the magnetic field in the voice coil gap. The result is an ultra-smooth response with incredible dynamics. To keep up with the speed of the midrange and treble required two custom 8” bass drivers. They tooled a deep and rugged cast frame with an extra large mounting surface to allow long excursion and prevent midbass blurring. The cone mass was optimized to provide extended bass without overhang. The versatile Classic HD cabinetry is as rich and detailed as its sound. Choose from warm cherry, exquisite rosewood or elegant black pearl finishes.